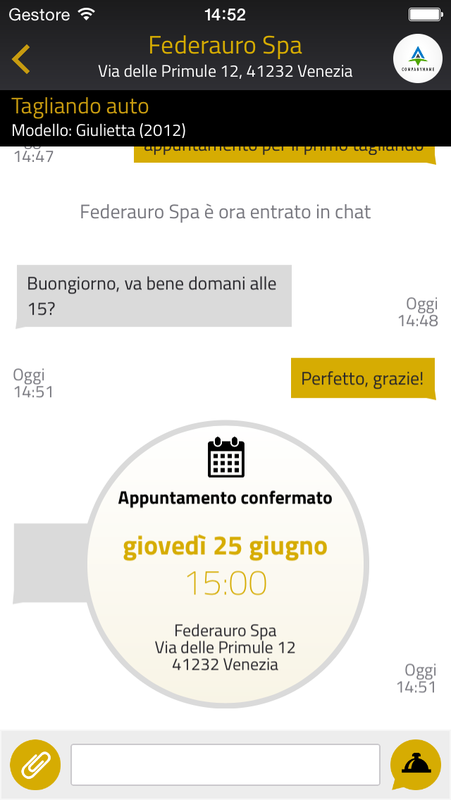 RingBell | Messaging for your business! RingBell is a messaging system for your business! Connect with your customers and retain the relationship in a simple, fast and informal way. Profile and manage conversations with your clients about the services of your business. The easiest and fastest way to set an appointment with your customers. 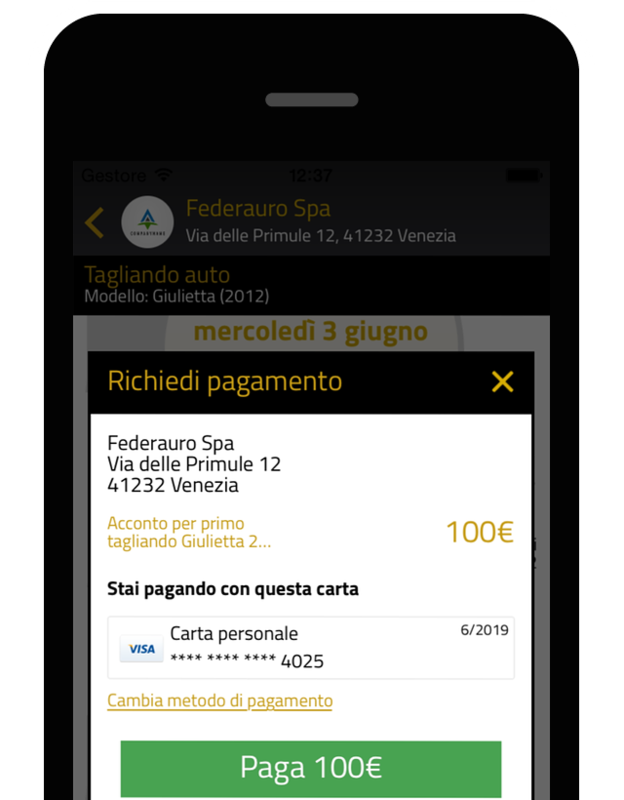 Receive one click payments directly on your smartphone by your customers! Before the phone, than the email, now the chat. With RingBell you can manage conversations with your customers or suppliers, pay or receive payments, take appointments or manage deadlines. RingBell is the quickest way to keep in touch with your customers through a loyal relationship. RingBell is a chat. Start talking with a simple interface. Send appointments or deadlines, these will be synchronized with your smartphone calendar. Define opening time in witch you'll not be able to give a quick reply or you don't want to be disturbed, alert your customers with automated replies. Expose services of your business and manage conversation for every service. Welcome remote payments or make your customer pay in your shop directly on your device. Take advantage of unique fees on Visa and MasterCard cards. Every transaction will have 1.9% fee. Send or receive payments in mobility with a simple tap. View payment status, manage refunds and view your earnings. Simply and quickly send and receive payments on your smartphone. Receive payments directly on your bank account every month. Take advantage of unique fees! Credit card payments with VISA and Mastercard at a convenient fee of 1.9% per transaction. Keep your card secured to pay in a simple and quickly way! 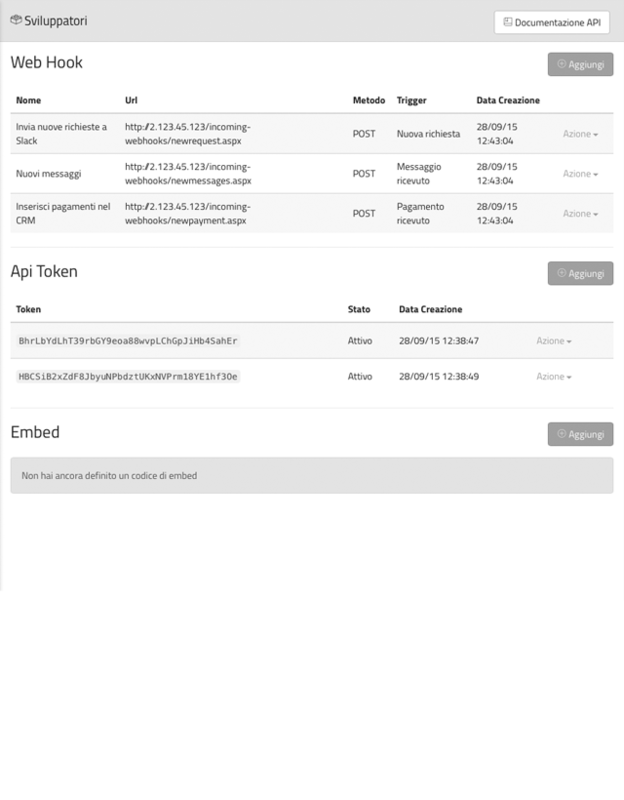 You can freely extend RingBell with public APIs and Webhooks and integrate it in your everyday workflow creating complex messaging services on top of it. You can use public APIs to interact with your requests and customers. 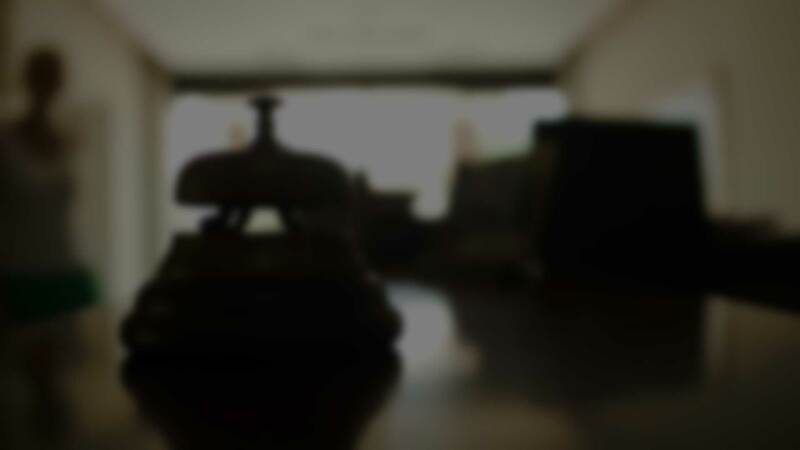 You can integrate RingBell in your everyday workflow: send notifications from RingBell to your web server o to your services, build BOTs or provide complex services to your customers. Integrating RingBell with your website you'll be able to offer the RingBell chat and payments experience directly to your website visitors. You can be contacted and you'll be able to receive online payments with a simple click. 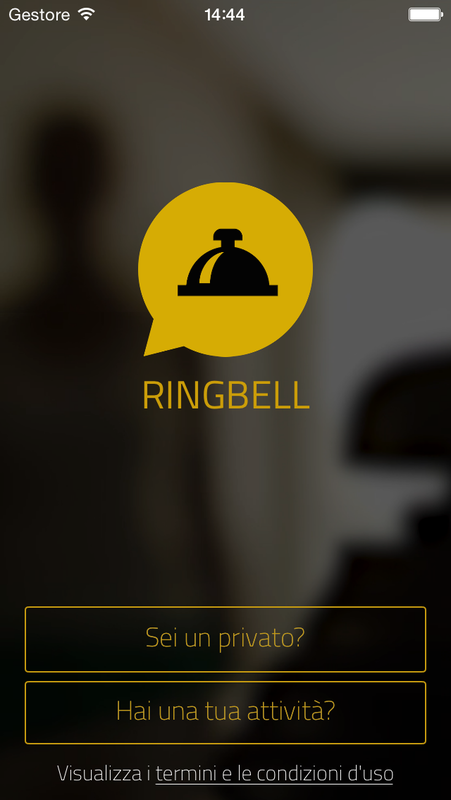 RingBell is the App that let businesses and customers communicate in a simple, useful and direct way. You can manage customer loyalty, manage orders and requests, send appointments and sync them with your smartphone calendar and receive one click payment securely through credit card! 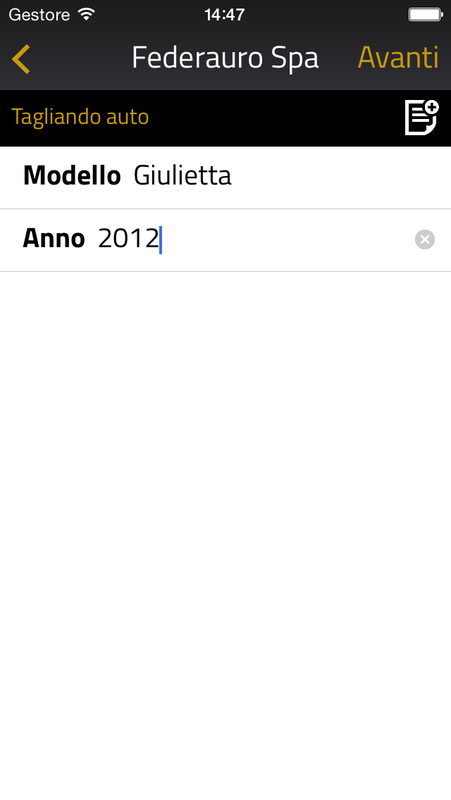 Grazie a RingBell posso ora gestire gli account, gli ordini e le riparazioni a distanza con una semplice chat. http://www.natoligioielli.com. 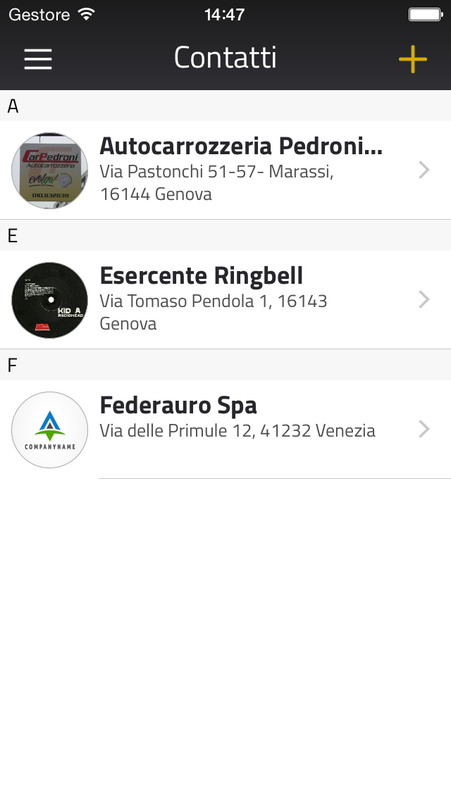 Grazie a Ringbell posso, in maniera semplice e veloce, gestire richieste e informazioni circa I miei servizi e la mia attività direttamente nel mio smartphone. http://e2net.it. 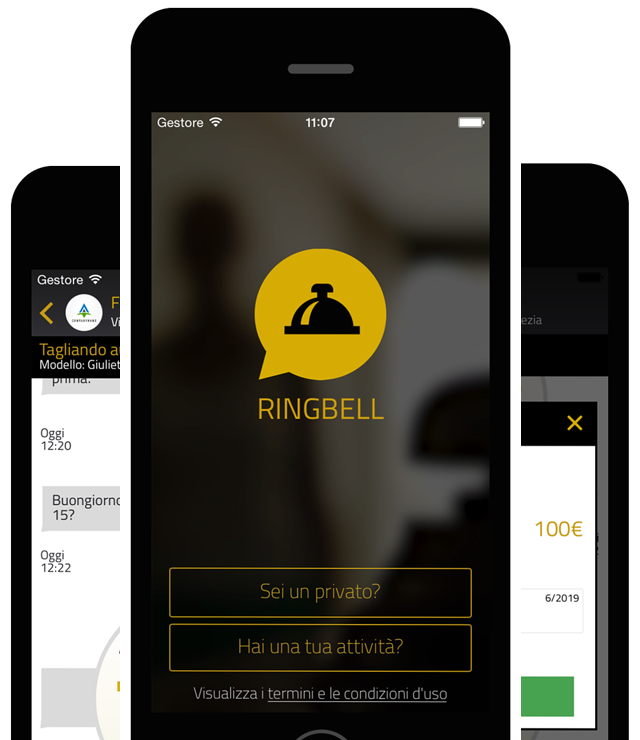 RingBell © 2015 by Appfactory Srl. All Rights Reserved.